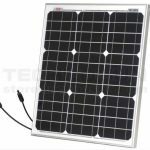 Find solar panels from leading brands such as Trina Solar, Red Solar, LONGi, SolarWorld, CSUN, Panasonic HIT, Amerisolar and more. The panels are shipped directly from our distribution center in Valencia. At Techno Sun we are specialists in the distribution and import of solar panels from the world’s leading manufacturers, called Tier 1 (listed by Bloomberg). Since we are big wholesalers, we have more than 4Mw always in stock, we offer important discounts for purchases with a certain volume, especially from a pallet, call us and consult us the prices for professionals. To buy loose solar panels, consult the prices by quantities in the section of solar panels in our online catalog or in our webportal B2B. 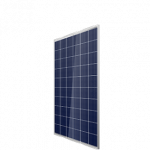 Polycrystalline photovoltaic modules are cheaper and it is a newer technology. Silicon cools irregularly and creates many different crystals, giving it a less uniform appearance. Polycrystalline photovoltaic solar panels tend to be the most affordable, but they also produce a little less energy. 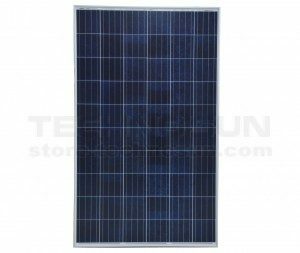 Still, polycrystalline solar panels are gaining in efficiency and usually have the lowest price per watt. As the name implies, monocrystalline solar panels are made of a single crystalline cell. They are the oldest of the technologies and the solar cells have a uniform flat color. 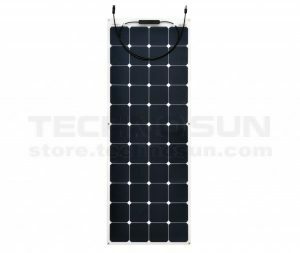 Monocrystalline solar panels are a little more efficient and expensive. You can install fewer high-efficiency mono panels, but the cost per watt is higher. PERC stands for Passivated Emitter and Rear Cell. You will also find the term Passivated Transmitter and Rear Contact. PERC cell technology defines a solar cell architecture that differs from the standard cell architecture that has been used for three decades and that usually appears in all photovoltaic manuals. The main advantage of the PERC cell structure is that it allows manufacturers to achieve higher efficiencies than standard solar cells that are reaching their physical limits. In the current state of technology, it is possible to achieve up to a 1% absolute increase in efficiency, although there are more steps in the manufacturing process, increased efficiency makes it possible to reduce costs, also at the system level. The goal is always to improve efficiency and at the same time reduce costs. And improving the efficiency of solar cells contributes to cost reduction. This cell architecture is considered as one of the best possibilities to produce high efficiency solar panels at competitive prices. The hetero-union solar cells developed by Panasonic contain high quality n-type silicon substrate coated with amorphous i-type non-doped silicon. This structure prevents loss of electrical charge, resulting in high conversion efficiency. Little reduction in output power when the module rises in temperature, which means that it supports a high output power even during high temperatures, such as summer heat, which contributes to increased energy production throughout the year. 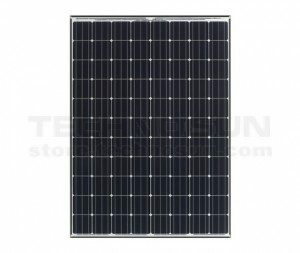 We also have a large number of formats of photovoltaic modules, we offer them with silver or black aluminum frame, flexible or curvable, bifunctional and glass. The range of powers we have in stock ranges from 5W to 395W, (we also have photovoltaic modules with 144 cells).